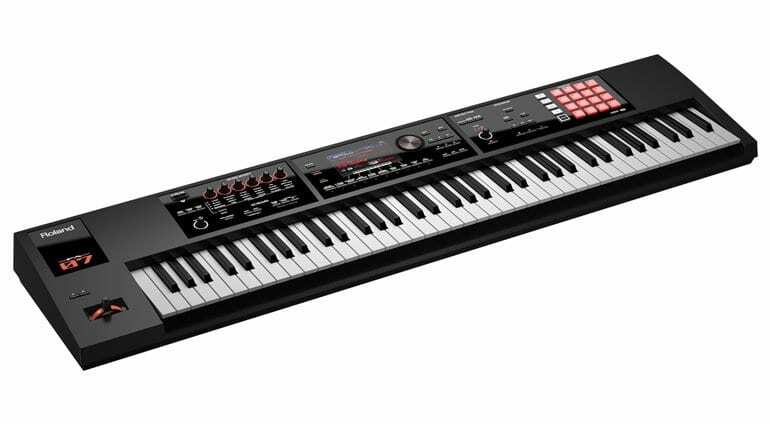 Back in the reality of the everyday musical keyboard Roland have added a 76 key version to their FA series of workstation keyboards called the FA-07. Although billed as a “synthesizer” release, yeah, that’s not really what we were thinking. 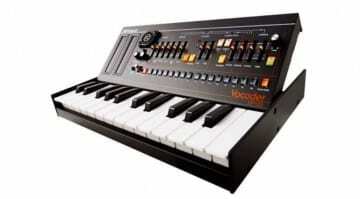 Their other release, the SE-02 analog monosynth, that’s more of what we were thinking. 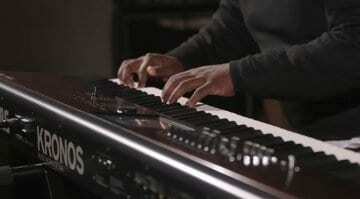 With the FA series Roland claim to have reimagined the music workstation. You get a massive collection of sounds, expressive real-time controls (knobs and things), onboard sampling and a 16 pad controller. 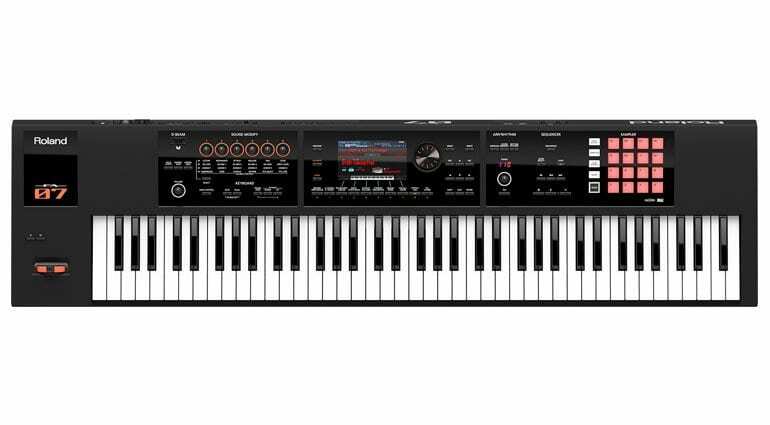 It comes integrated with a sequencer and 76 velocity sensitive notes of “synth action”. Yep, it sounds an awful lot like a regular music workstation to me. There are 2000 tones from the Integra-7 sound module including the “SuperNatural” engine of acoustic tones. It has the ability to smoothly move from one sound to another without cutting the first one off – a really neat feature actually. 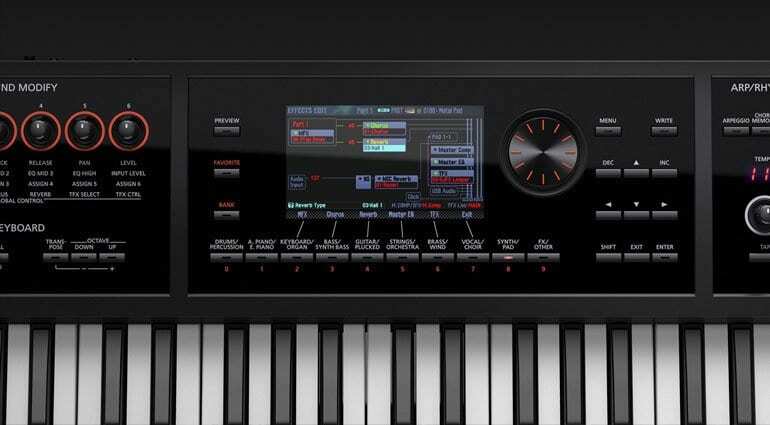 The sound engine can also be expanded with Roland’s Axial online sound library. The internal sequencer has 16 tracks that can go on as long as you like. The parts and notes can be edited on the 5″ colour LCD display. Once the mix is to your liking you can export the whole thing as an audio file to an SDHC card. The screen is rather garish but seems to be remarkably useful and laden with stacks of information. 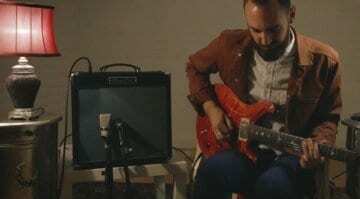 Check out this video of loop recording as a good example of how easily it can all come together. Of course, there’s a bunch of DSP effects built in to give the sounds that digital wash. But there’s also some creative performance style effects built in that take advantage of the 6 “Sound Modify” knobs. There’s filtering and modulating but also some stutter and DJ style effects to get your fingers around. Lastly, there’s some cool DAW integration built in via USB to give you some control over your computer-based recording environment. Transport controls come into play, as do the Sound Modify knobs. It’s a comprehensive workstation system that’s now in a larger keyboard that still keeps it light on touch and physicality. The FA series has been around a while so it’s not a very exciting release but at $1499 Roland are angling it as a serious piece of gear. More information on the Roland website.